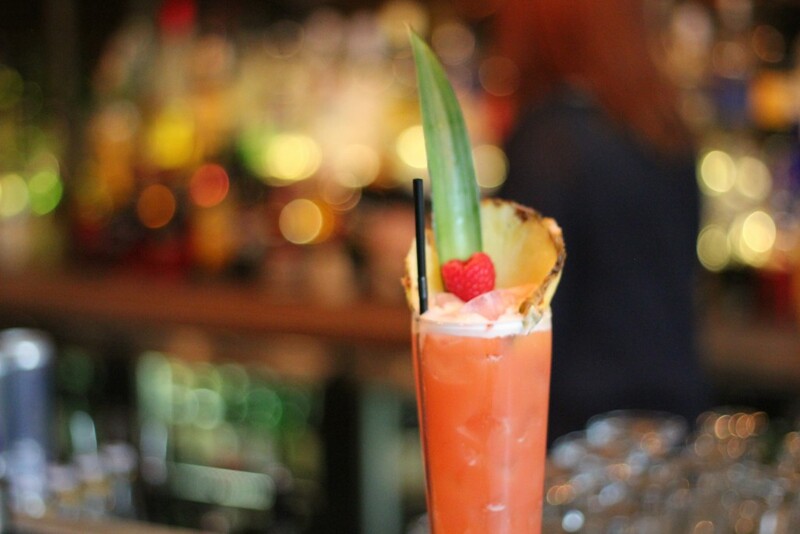 We love cocktails, and we’re spoilt for choice here in Liverpool. Between new bars opening up to the sheer delight of cocktail enthusiasts, and our old favourites celebrating landmark birthdays, the independent cocktail scene in Liverpool is very, very strong. And very, very tasty. With so much choice (not that we’re complaining, variety is, after all, the spice of life), often it is a struggle to know just where to go to enjoy your next tipple. 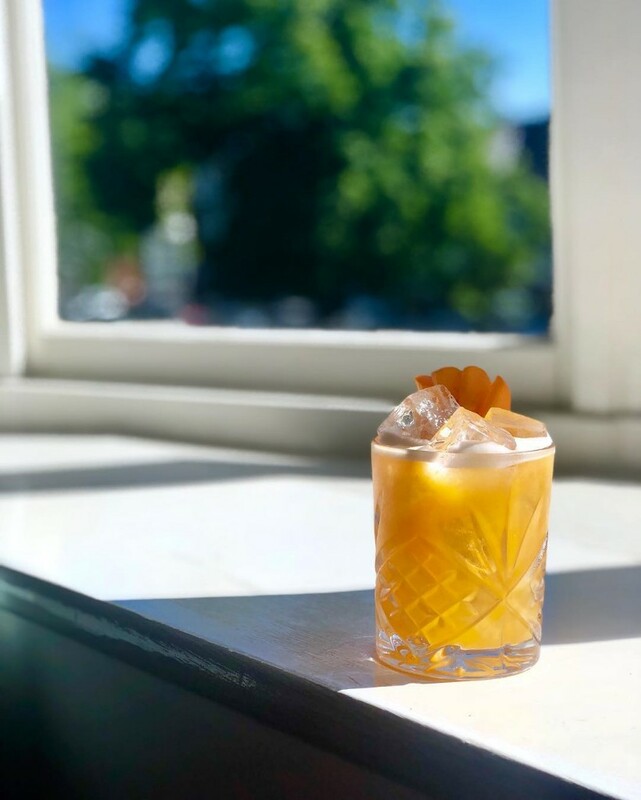 Thankfully we’ve managed to solve your cocktail-quaffing dilemma with a carefully curated list of some of the best cocktail bars in the city (we had to undergo very extensive research in order to complete this guide, but we did it all for you). 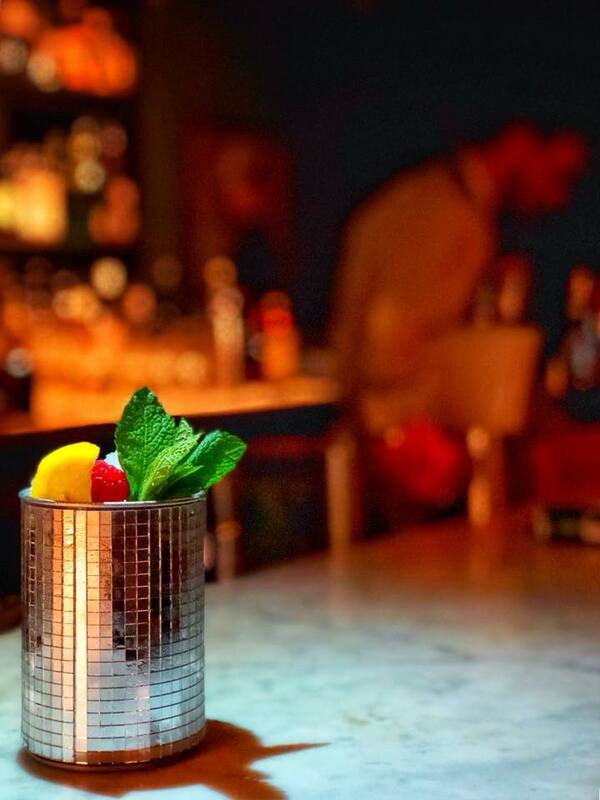 From high-end, table service cocktails to flaming concoctions served in quirky vessels, Liverpool is definitely the place to be should you be looking for your cocktail fix. 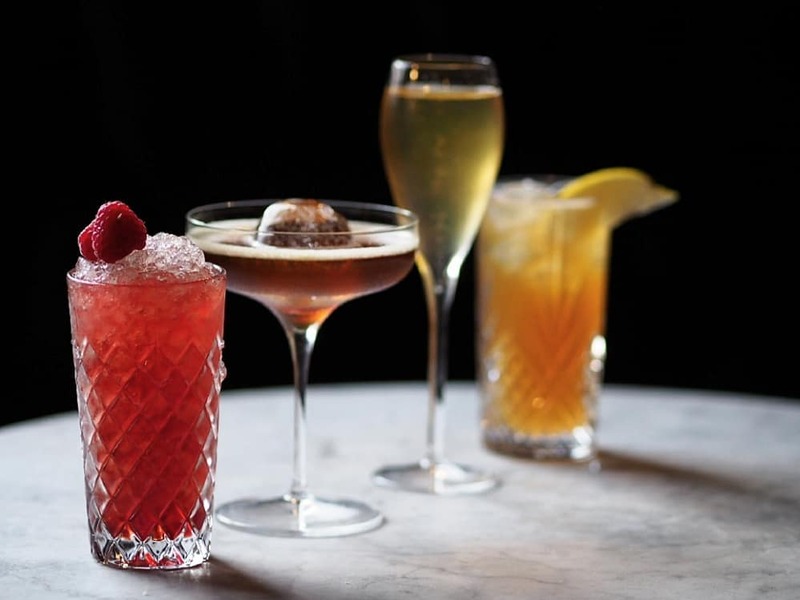 No cocktail list would be fit without mentioning Berry & Rye – the blacked out Berry St bar inspired by the prohibition era. Just remember to knock on the right door. It’s the bluesy atmosphere and clandestine that keeps people coming back. Well, it’s that and the cocktails which are some of, if not the best in the city. 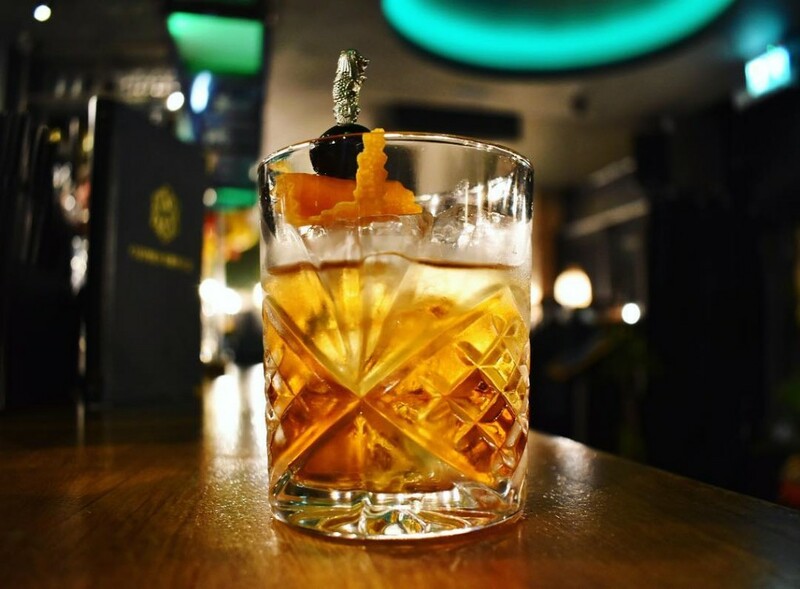 If you haven’t been before order yourself an old fashioned and thank us later. Previously a sea food restaurant, the name is the same but the menu is different. Rather than being reborn it has evolved into one of Liverpool’s best bars. Inspired by the groovy 70’s, this is a place where turtlenecks and dodgy moustaches are not only allowed, they’re encouraged. The jungle wallpaper on the roof is the actual wallpaper that Elvis Presley had in his New York hotel and there is an array of intimate booths or tables for you to take your pick from. Petit Café is a French café bar on Berry Street in Liverpool. They specialise in wine, cheeseboards, spirits, beers and you guessed it; cocktails. You know what goes really good with cocktails? Live music. 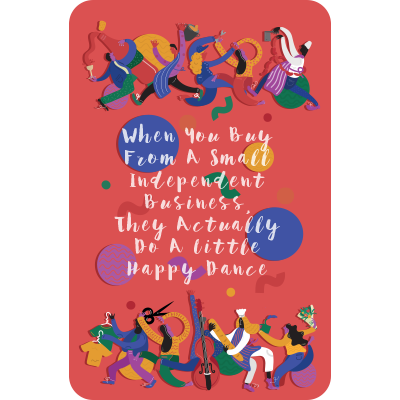 Petit Cafe Du Coin have regular jazz and swing bands that give it that wonderful neighbourhood vibe but right in the city centre. 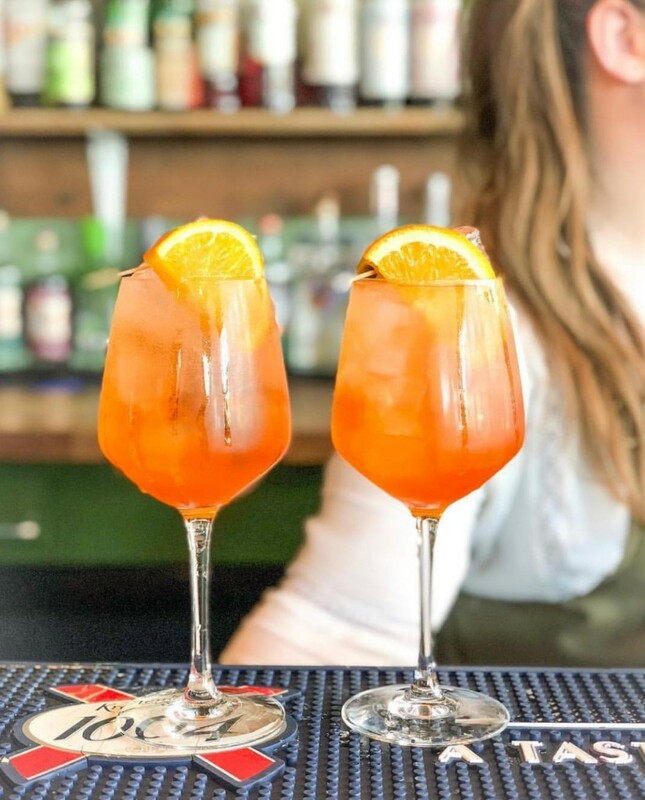 Grab yourself a board game, order yourself a cheese board and start necking an Aperol Spritz. Or two. Chamber 36 Restaurant & Bar is located in the heart of Liverpool city centre right next to Europe’s oldest China Town. The restaurant offers contemporary Pan-Asian cuisine serving the finest dishes from East Asia in a modern tapas style. Chamber 36 takes inspiration from the story of the Shaolin monk who would pass through 35 chambers in search of total unity for the body, mind and soul before reaching the 36th chamber: a point of inner harmony and peace. We found that inner harmony after exactly one of their Lychee Spritzes. Oh c’mon, we had to get this one in. 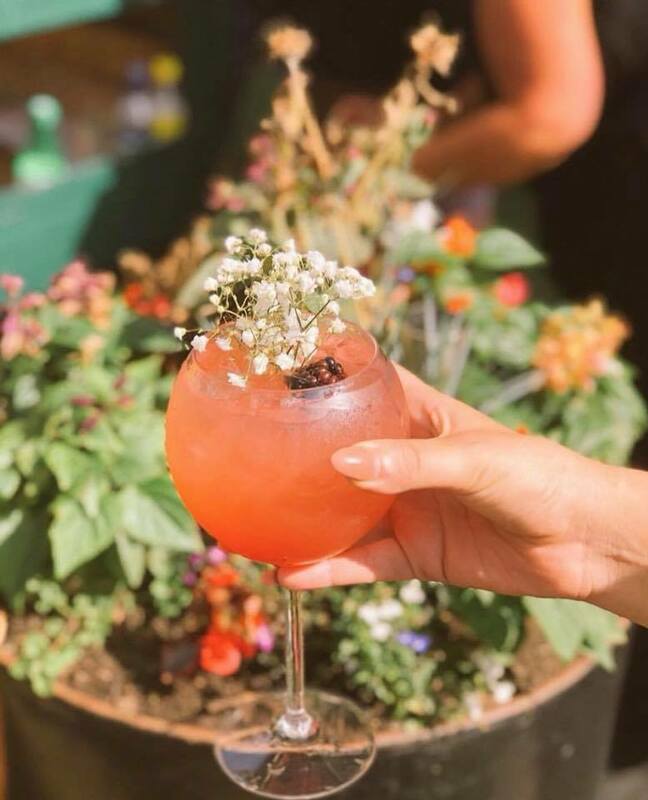 Liverpool’s first street food market based in Cains Brewery might be all about the food but they’re slinging out some pretty unbelievable cocktails to help wash all the halloumi down. 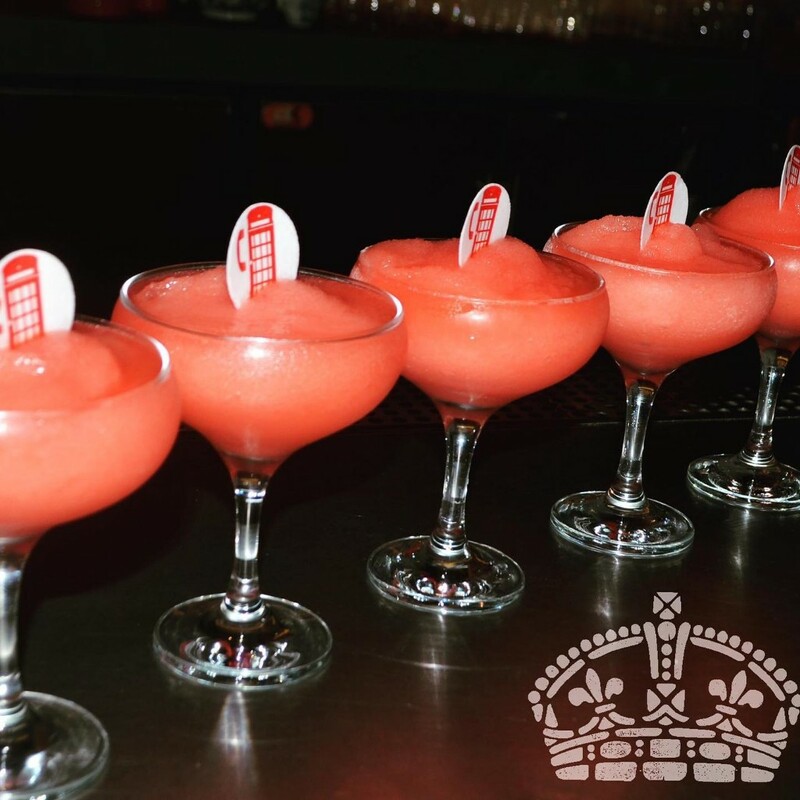 From Fanta Lemon gin slushies to lemon cheese cake cocktails and more in between – you’ll be spoilt for choice. Go for the Prin & Tonic – great name and even nicer drink. Another Cains Brewery stalwart is Dockleaf – the urban local with a core following and one of the prettiest rooftop terraces in the city. 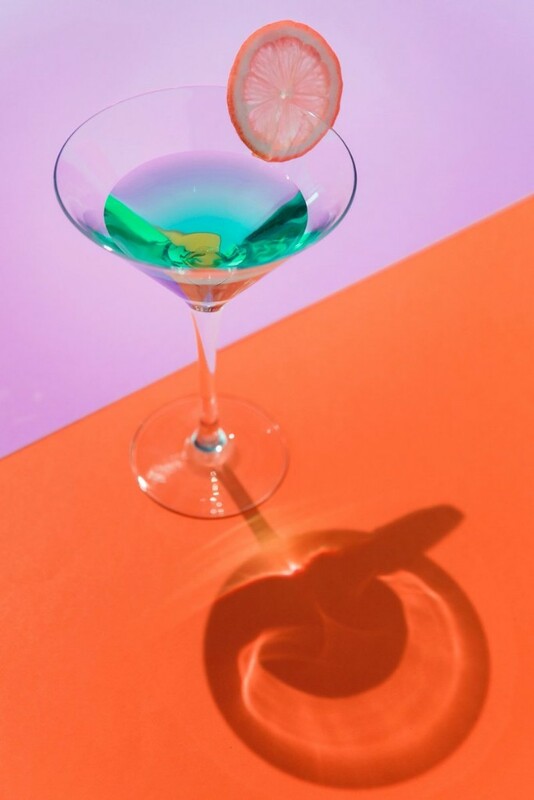 On a sunny day, there’s nowhere better to be with a cocktail in hand. And speaking of cocktails, you’ll be hard put to find a more comprehensive cocktail list in the city. From grapefruit mimosas for brunch to a pineapple rum old fashioned in the night – we won’t blame you for losing a day here. 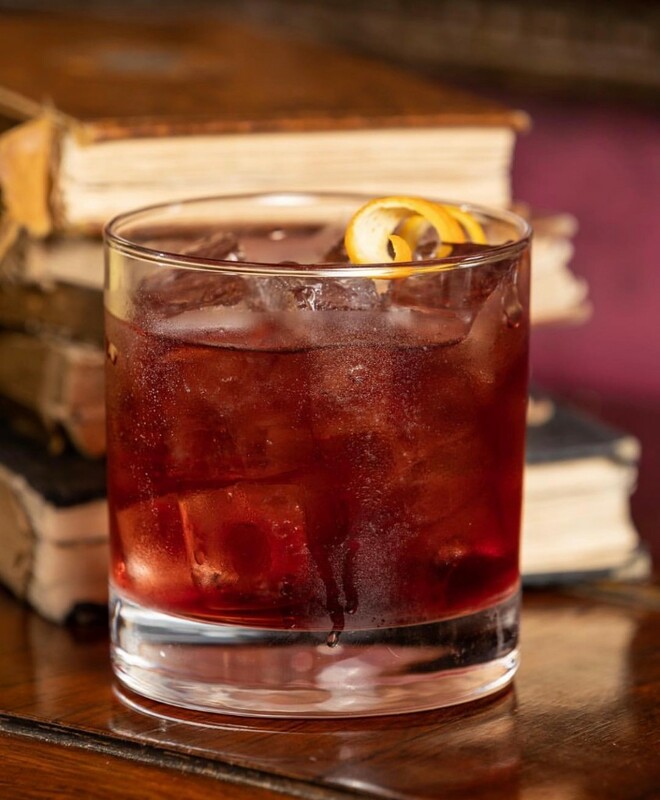 Named after the inn where Dickens resided for 4 years prior to his first visit to Liverpool, Furnival’s Well is a cocktail bar with a Victorian heartbeat. Dickens had an affair with the building and actually worked the night shift one evening. Yes, that’s right, Charles Dickens was a prolific journalist, novelist, and for one day in 1860, Liverpool police constable. 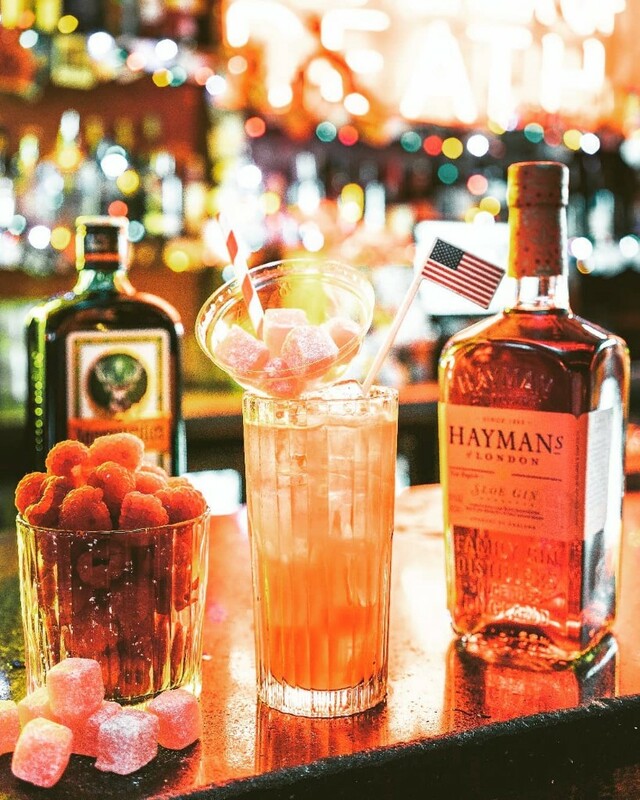 Visitors can initially expect to some intriguing cocktails, stouts, Irish Whiskeys, and an excellent gin menu with a beautiful outdoor heated gin lounge perfect for those endless summer nights. 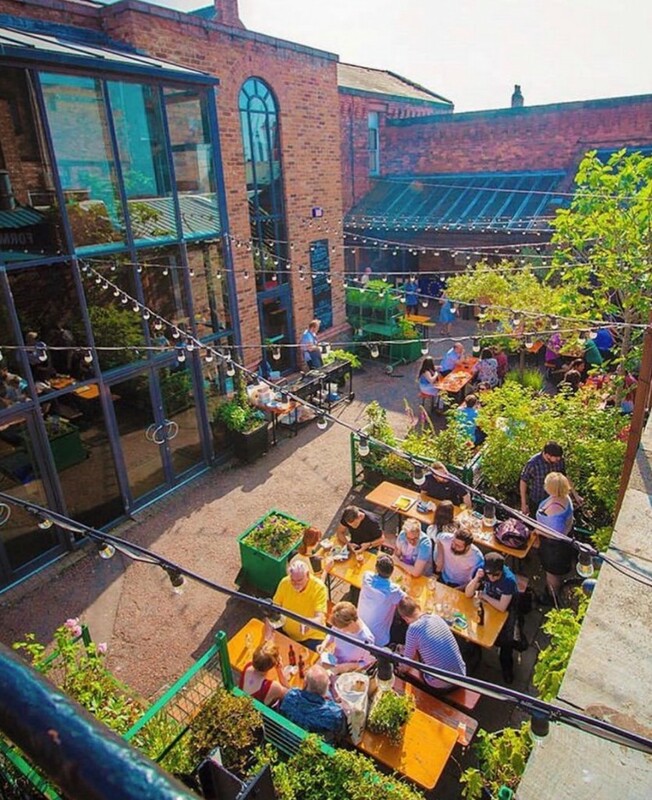 Widely regarded as the hidden jewel amid the warehouses and creative industries the area now harbours, at the Baltic Triangle’s heart beats The Botanical Garden. It’s a little piece of escapism in the city, a sublime sanctuary tucked away down a narrow street in the shadow of the looming Anglican Cathedral. As it’s a gin garden expect lots of gin and some fantastic cocktails. Santa Chupitos cocktail emporium is on the corner of cobbled streets in the Ropewalks area of Liverpool and despite its modest size, doesn’t half pack a party inside. This isn’t your sit down and sip cocktails kind of place, be prepared to dance. How could we not recommend you get their infamous $5 shake? 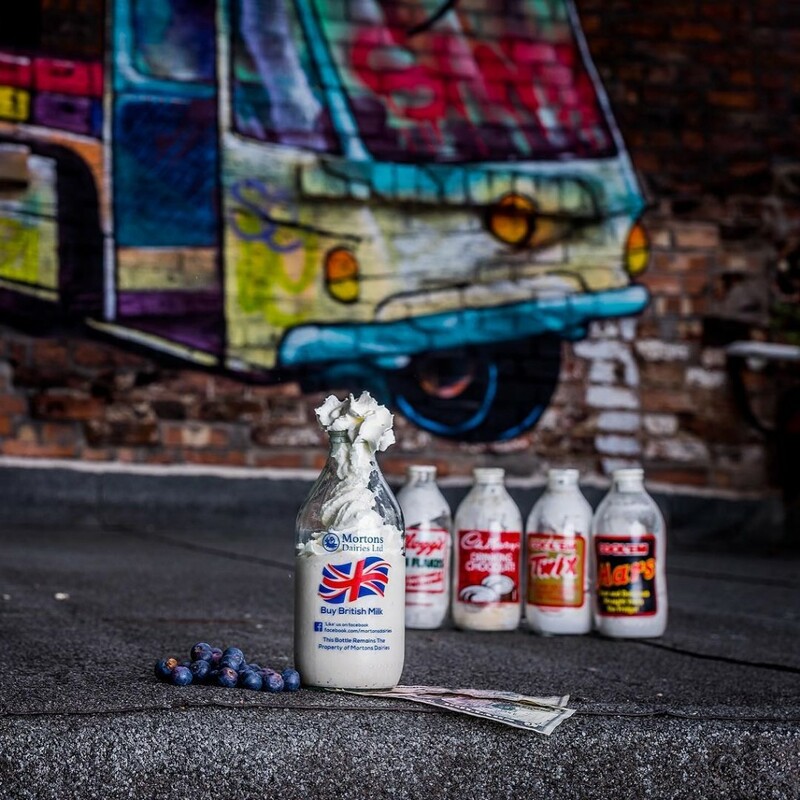 Milk, ice cream Chambord and vodka served in a milk bottle. 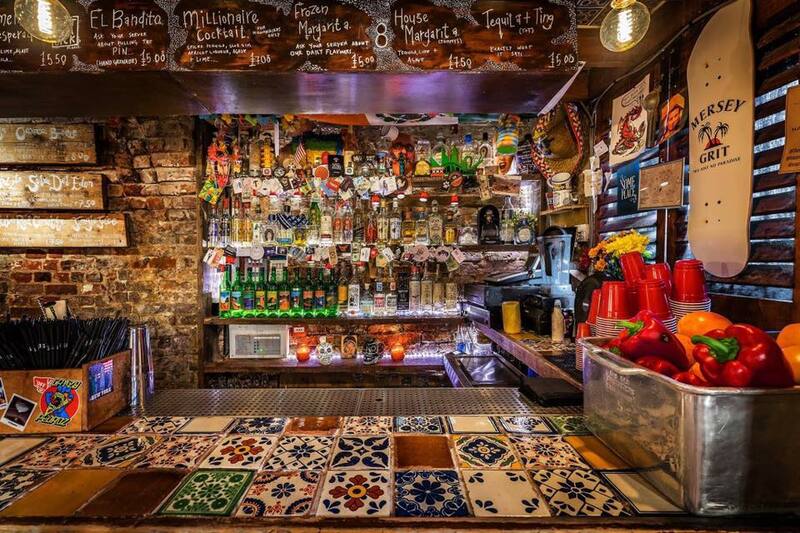 A basement tequileria straight out of the heart of Mexico hidden right beneath the city centre streets. El Bandito falls under the blink and you might miss it category. 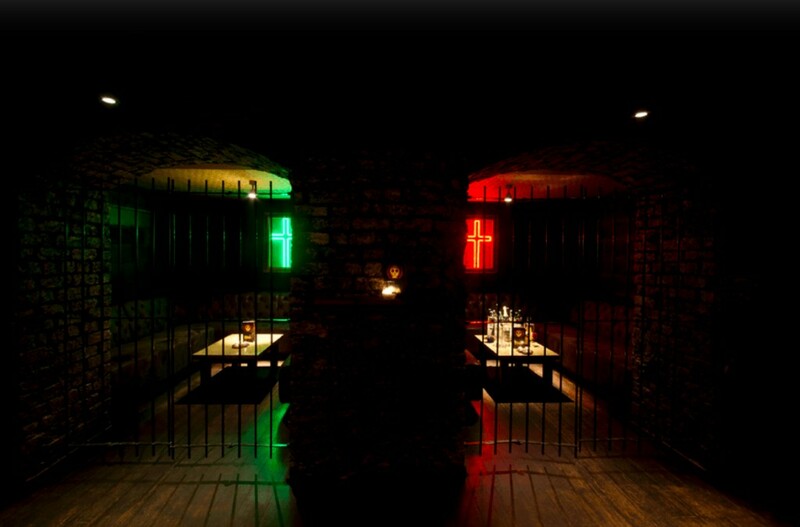 It’s an underground sanctuary for novices and experts alike and feels like a true hidden gem. They’ve got mezcal and tequila by the boat load but they’re going into really inventive cocktails. This is the perfect place for “one more” at the very end of the night when you promised you’d be home hours ago. We tried to stay away from restaurants that do good cocktails because there’s a lot but Maray’s drinks are so good it would have been criminal to leave them off this list. 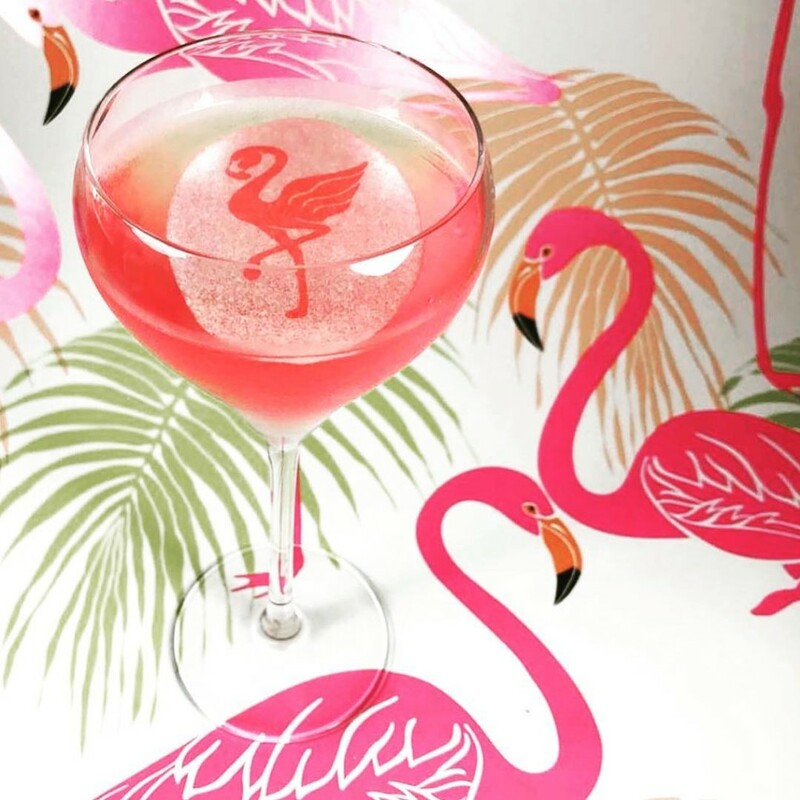 Yes, that’s right, it’s not all disco cauli and falafel – there’s drinks that rival the grub. It’s a hard choice but if we had to make one we’d say the Black Forest Reviver is our favourite. Monkey 47 gin, lychee, Lillet Rose, lemon, raspberry shrub. It’s like 3 of your 5 a day and gets you drunk. What’s not to like? Their Bold Street restaurant also has a basement bar. 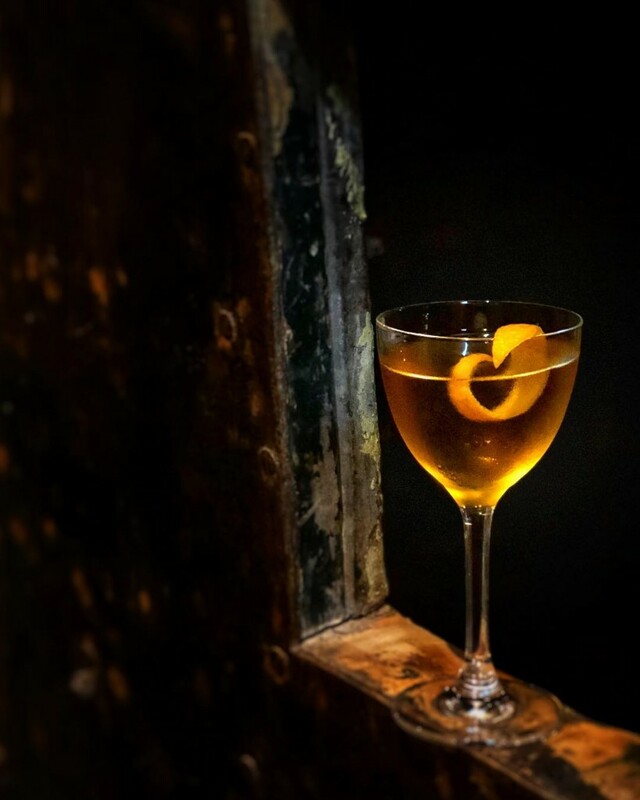 81LTD is a speakeasy cocktail bar, well hidden on one of Liverpool most popular streets, Seel Street, above Salt Dog Slim’s. The entrance is through the bar itself and you can only get in by obtaining the code. It’s a super stylish bar; it looks like the kind of place Don Draper would drink and their extensive whisky list perpetuates this further. 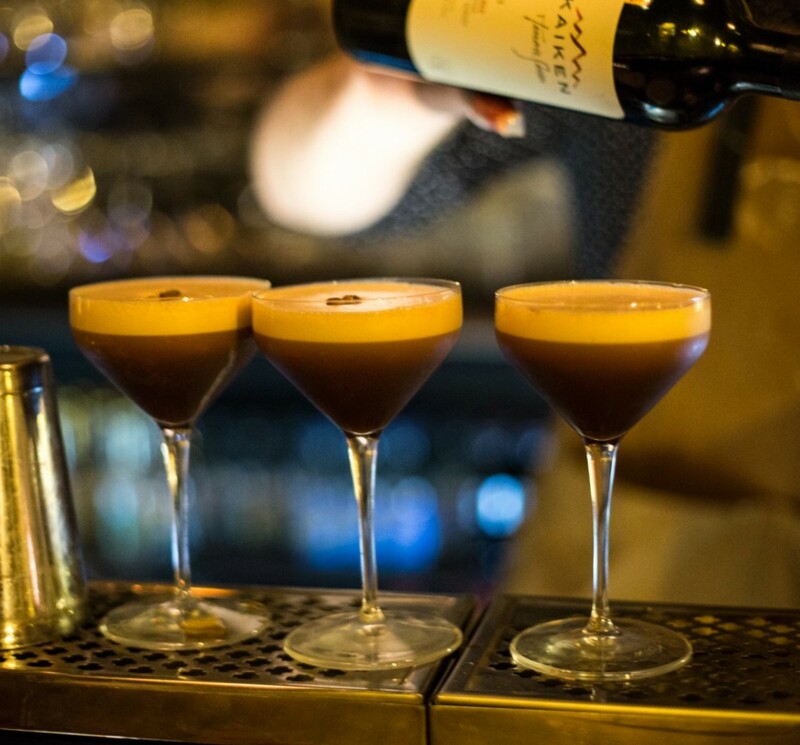 It’s worth the nervous effort to get in as some of the best drinks await you. For guest list entry Thursday-Sunday please text 07803361052 with your full name, party size, date & time of arrival. Fantastic bagels, eye-catching brunches, eclectic cocktails and smoothies and coffees and all sorts… combining into the unique energy that is East River. 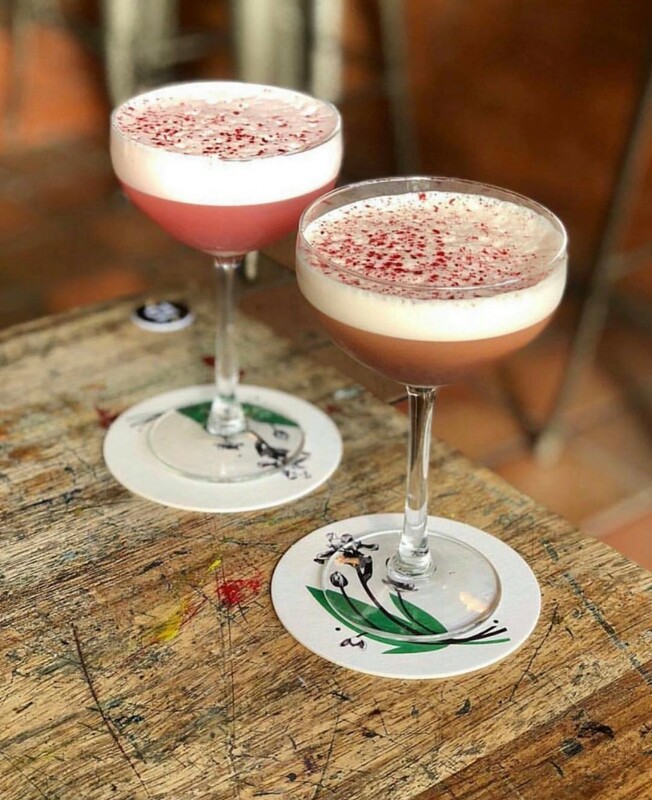 Pastel pink furnishings, exposed brick and framed artwork – it looks like the kind of place hipsters would come to prayer and be baptised in Fernet Branca. 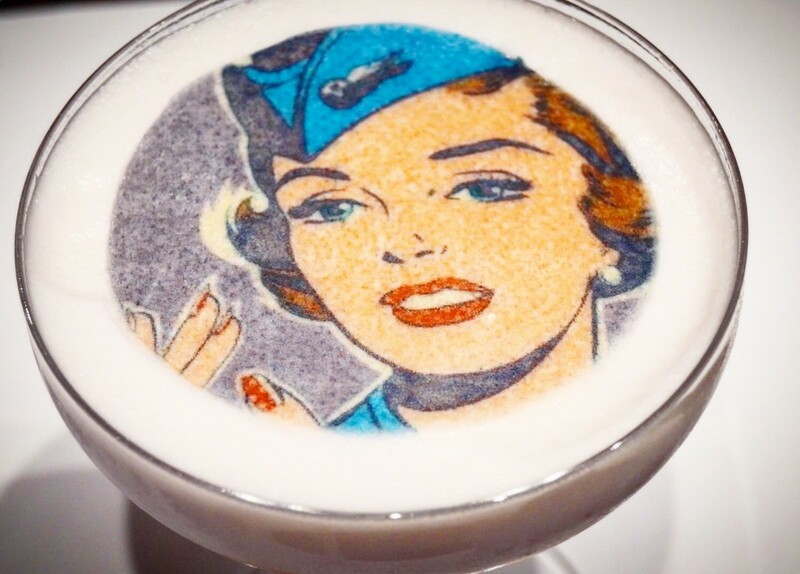 Go for the Mile High Clover Club – the rice paper artwork on top is a guaranteed 14 likes on Instagram. Imaginative cocktails in a quaint little place in the heart of Woolton Village. What could go wrong? The building itself was a former beauty salon named Deco but the hairspray has been swapped for Hemmingway Daiquiri’s, the shampoo for spritz and dryers for Daisy’s. 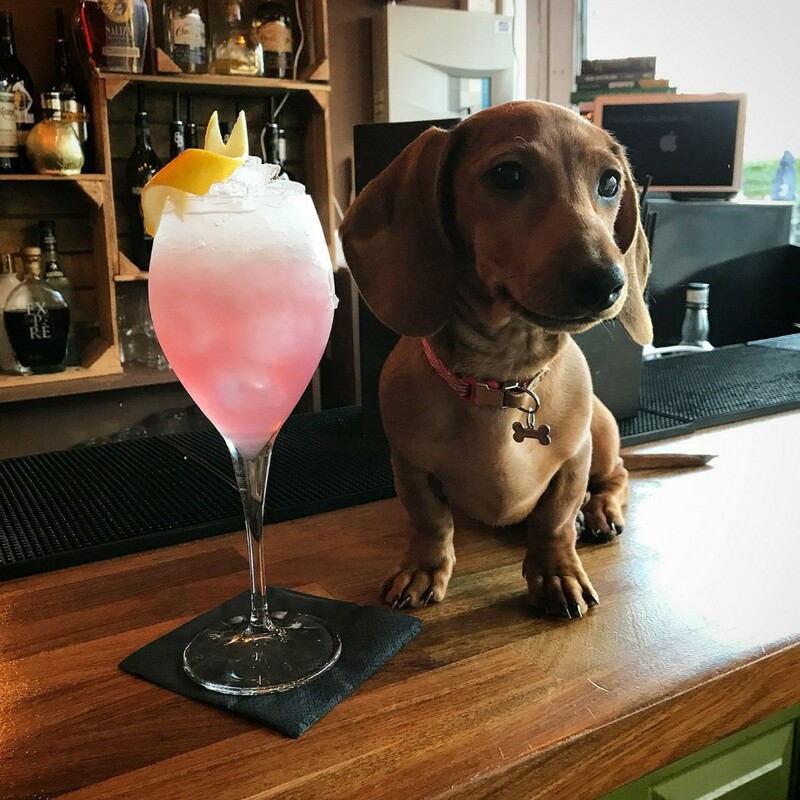 Don’t forget to look out for Pickles, the stand-in Daschund bartender who, despite making a crap French 75, will have you head over heels with her. 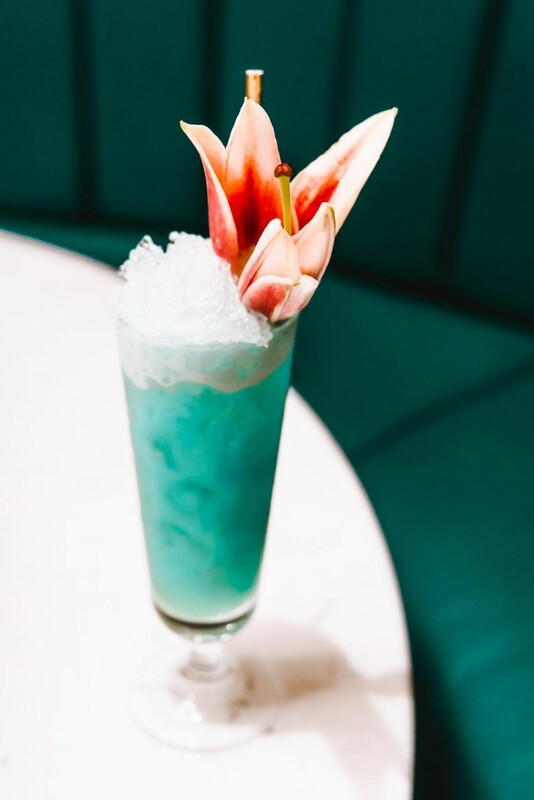 Bringing the Tiki revolution to the forefront of Liverpool nightlife, Aloha is the perfect place for Pau Hana (we’ll save you the Google, it means drink after work). 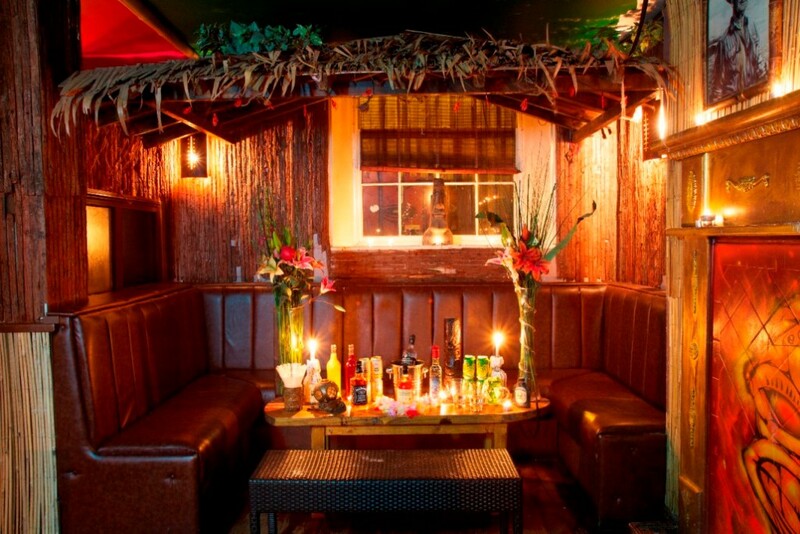 The perfect place to shake your tail feather in your hula or drink a cocktail out of a coconut shell. Aloha is all about the fun. The serious attire is abandoned for Hawaiian shirts, tradition is abandoned for flare and safety is replaced with lots of fire. It’s over the top… and we wouldn’t have it any other way. Now this place is a bit fancier. You even have to be a member to be a part of it. Kinda like a gym but you actually turn up to this place. The building itself is one of Liverpool’s most historic buildings and was recently restored 200 years after it first opened. It was revamped to bring back its former elegance and to create a private club where members can work, eat, drink and relax. Bear in mind some cocktails are almost too pretty to eat. Almost. You’d be forgiven for walking past Motel on Fleet Street but whatever you do, please don’t. The neon signs will signal a good time and this dive bar has been a beloved part of Liverpool’s nightlife for many years now. Classic cocktails sit alongside Motel’s modern twists and we can’t help but go for the Rhubarb & Custard; rhubarb gin, rhubarb syrup, lemon and cream soda. It’s like drunken nostalgia in a glass. If you haven’t noticed, there’s a bit of a theme with some of Liverpool’s cocktail bars in that they like to make you work to find them. Well, anything worth having doesn’t come easy and all that. Ex-Directory has the most unique entrance as it’s actually through a pretty normal looking red telephone box but like Narnia, a secret underground world awaits you. Not many venues can flit so effortlessly between wine bar, cocktail parlour, small plates restaurant and gig space, but here at Buyers Club, we think they do a pretty good job. 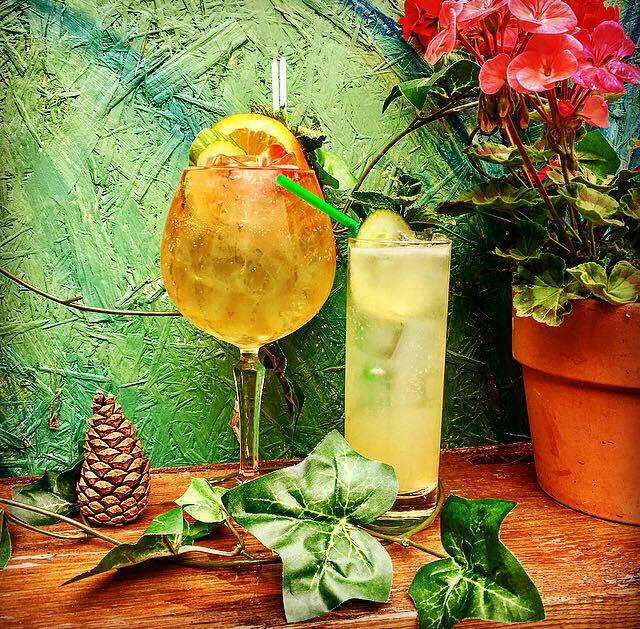 Situated just off the beaten track of Liverpool’s burgeoning Hardman Street, Buyers Club plays host to regular garden parties, live music, BBQs and art exhibitions. Serving up passion without pretence, they’re a small, tight-knit team with a big thing for cocktails, craft beer, and all things vinyl. Their outdoor drinking space isn’t bad either on a sunny day. Wander down Wood Street and you’ll see all the usual haunts, including a favourite of ours: Lucha Libre. People in their hundreds choose to dine in the authentic Mexican street-food inspired restaurant but only a select few know that there is a staircase that leads down to a different world. Welcome to Maya, an extraordinary bar that aims to represent the Mexican spirit surrounding Dia de Los Muertos (Day of the Dead). Start with a frozen pomegranate margarita and go from there. Liberté is located on the third floor of the Bentley Building on the Strand, boasting ‘breath-taking’ views of Liverpool’s waterfront, including the Three Graces and panoramic views of the city.The décor of the bar is a fashionistas dream combining bright colours, graffiti style art and neon lighting married with unrivalled views it will most definitely be the go-to venue for a fabulous lunch, evening, or glamorous night out. None other than Jazz Stan has covered all the walls with her wonderful art. The colour doesn’t stop there as the drinks are as vibrant as they are drinkable. Located between the cathedrals on Liverpool’s iconic Hope Street, Frederik’s has been a hub of the Georgian Quarter since 2013. The Brooklyn-style bar offers a wide range of craft beers, as well as gin and Prosecco and also enjoys an unmatched reputation for some of the best cocktails in town. Food is served daily from lunch into evening, with a traditional roast every Sunday. Proving Sundays are for roasting – not resting. Get yourself a French Martini and enjoy the disco or jazz soundtrack that’s more than likely on. diamond flooring throughout. Customers are welcomed with a huge 10metre-plus bar slinging out some of the prettiest cocktails. You won’t know whether to drink it or frame it. Lark Lane is a stretch of road that needs no introductions but its latest venue to open might. 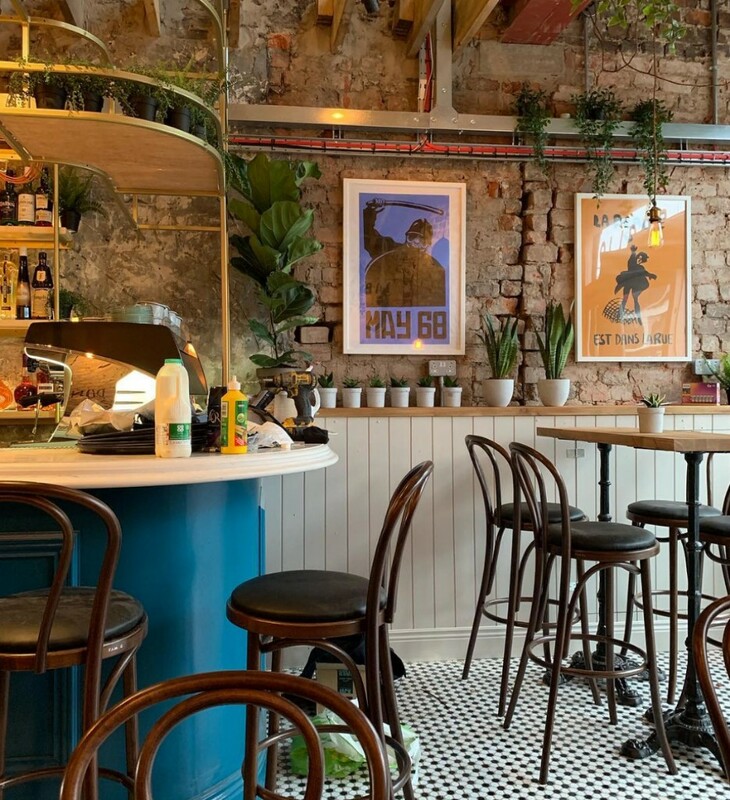 Say hello to Polidor 68 – the effortlessly Parisian bistro that looks as if it’s been lifted in from the Le Marais district. It’s an absolute stunner of a venue with great small plates, awesome cocktails and regular live music. Go for the ‘Bobo Parisian’ – it’s a mix of gin, St Germain, kina lillet, rhubarb bitters, aquafaba, soda and star anise. 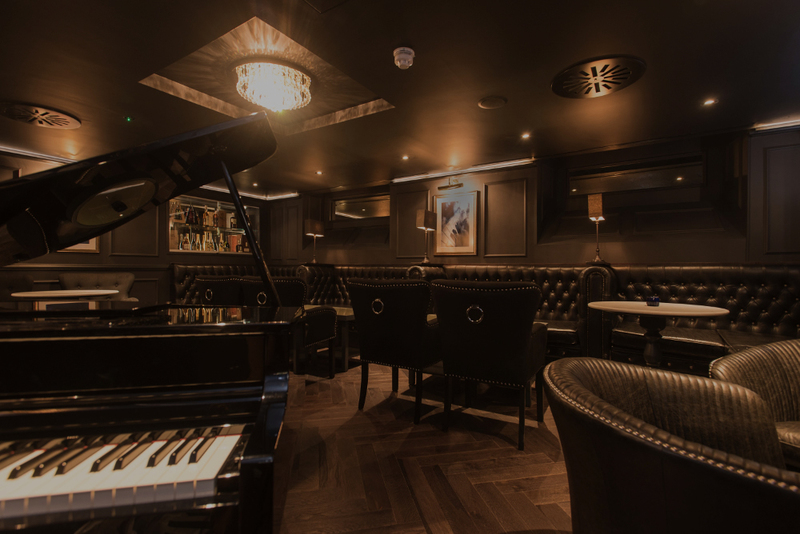 One of Liverpool’s newest and most exciting venue now open with live jazz nightly and Sunday afternoon blues. This beautiful room features an array of creative and delicious cocktails and over 200 rare whiskies by the glass. Adjacent you will find the new Turmeaus Late Hour Cigar Store & Sampling Lounge where you are welcome to sample a fine Havana or New World cigar. An old fashioned and a cigar? We’re in. The word absinthe is the kind of word that can clear a room. The rather mysterious green liquid has been shrouded in myths for centuries, the most popular one being a shot instantaneously triggers off irreversible blindness. One night at Some Place will make you realise that’s not true. 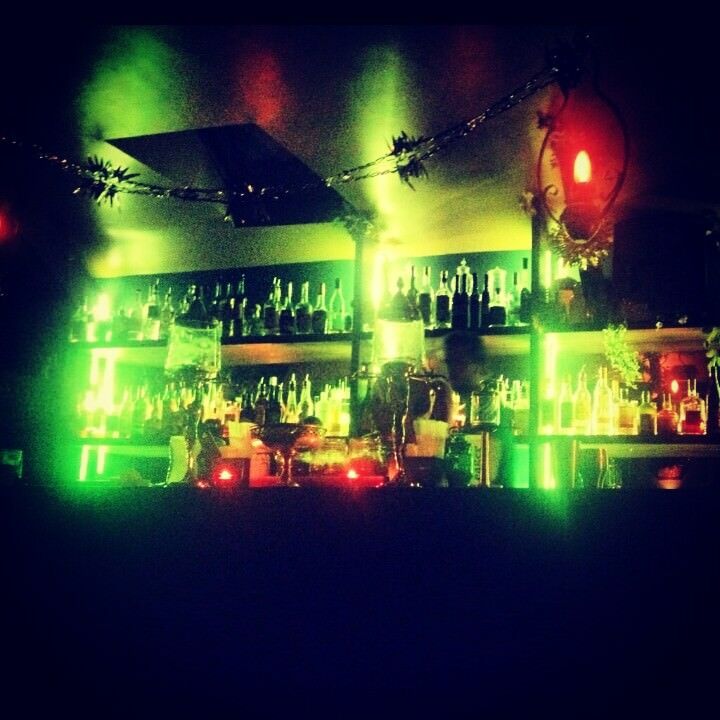 A night at Some Place is such a wonderful experience and really insightful plus they have a great list of cocktails with or without absinthe. Other great shouts: Pen Factory, Liverpool Gin Distillery, Underground Gin Society, Salt Dog Slim’s, McGuffie’s, Bitter Social, Heritage, Castle Street Townhouse, Jacaranda.